CATCHING UP WITH STEVE MCCURRY—Any red-blooded photographer if given the assignment would embrace photographing the annual Pirelli Calendar. The money is good, the models are gorgeous and the travel perks are amazing. Since 1964, the Euro tire maker has been producing a calendar that has become an expensive collectors item. A link at the end of this blog shows how much back issues of the calendars are going for on ebay. Each year, some of the world’s best fashion photographers have been given the plum assignment. But, in 2013 Pirelli went in another direction. 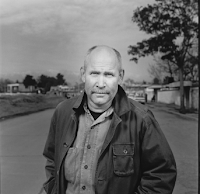 Instead of a fashionista photographing very bare female skin, Pirelli hired a legendary photojournalist Steve McCurry. Cutting to the bottom line, McCurry photographed all the women clothed. No nudes may not be good news for Pirelli calendar aficionados. Reason is the Pirelli’s calendar in recent years has been defining the state of the art in undraped female figures since Sean Connery was cast as James Bond. Undaunted, McCurry not only broke a long-standing skinny dip tradition, he even added a twist. He photographed Adriana Lima, a former Pirelli and Victoria’s Secret model, while she was six months pregnant. “Being selected to shoot the 2013 Pirelli Calendar was a great honor, and the beauty of Rio de Janeiro made it the perfect backdrop,” he said in his website: stevemcurry.com. Selected photos from his various assignments can be seen on his website, including current images of the 2013 Pirelli Calendar and the aforementioned Ms. Lima. --and winner of four first place awards in the World Press Photo contests. Much of McCurry’s work has come from battle zones around the world: Afghan v. Russia; Iran v. Iraq; Afghan and Cambodian Civil Wars and the Gulf wars. But perhaps, the aha moment everyone will recall is McCurry’s image of the “Afghan Girl,” which appeared on the cover of National Geographic Magazine’s June 1985 cover. 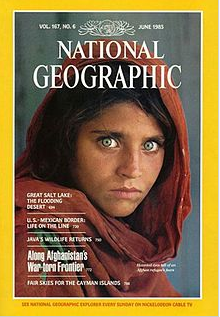 Although her name was not known, her picture, titled "Afghan Girl", appeared on the June 1985 cover of National Geographic. The image by American photojournalist Steve McCurry of her face, with a red scarf draped loosely over her head and with her piercing sea-green eyes staring directly into the camera, became a symbol both of the 1980s Afghan conflict and of the refugee situation worldwide. The image itself was named "the most recognized photograph" in the history of the magazine. Her identity was not known for 17 years, until another team of National Geographic researchers found her in Afghanistan. A documentary and feature on the search for the Afghan Girl were made in 2002 by the magazine.